An innovative high-tech wave device currently being built in the U.S. will offer marine-based big data centers the chance to power up while cooling down. The project is a display of Irish marine innovation combined with U.S. engineering prowess, and is taking shape in an Oregon shipyard, where shipbuilder Vigor is constructing a marine hydrokinetic convertor called the OE Buoy for U.S. and Irish based wave-power pioneer Ocean Energy. Once completed in spring 2019, the 125 feet long, 68 feet tall, and 59 feet wide wave device will be towed to the U.S. Navy Wave Energy Test Site on the windward coast of O’ahu, Hawaii. 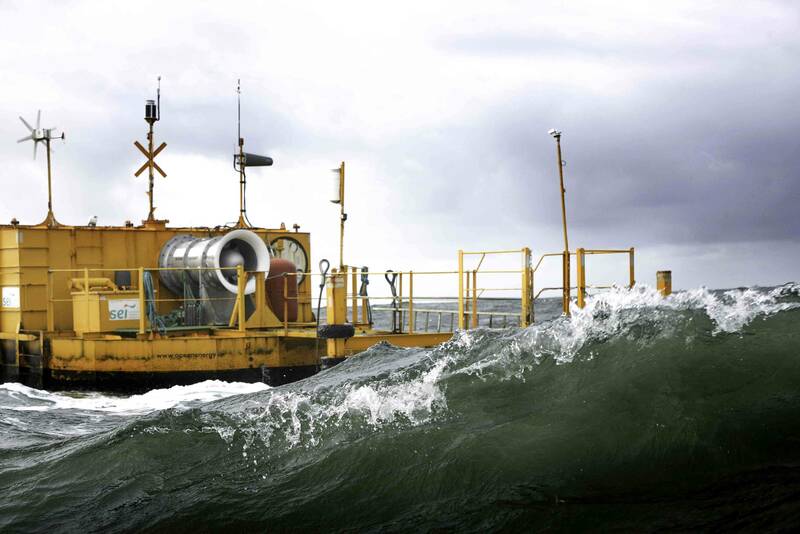 The private sector project is supported by the U.S. and Irish governments and their agencies as part of an agreement committing both governments to collaborating on marine hydrokinetic technologies. The 125-foot OE Buoy has a potential rated capacity of up to 1.25 MW in electrical power production giving it the ability to support a range of exciting uses including marine-based data centers, offshore fish farming, desalination plants, naval autonomous underwater vehicle (AUV) power platforms, off-grid applications for remote island communities as well as utility-quality electricity supply. According to John McCarthy, Chief Executive Officer of Ocean Energy, the scale and ambition of the OE Buoy project is unique and transformative. 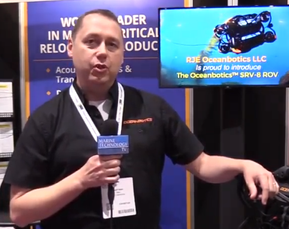 “This first-of-its kind wave energy convertor is scalable, reliable and capable of generating sustainable power to facilitate a range of use-cases that were previously unimaginable or just impractical,” he said. The sustainability aspects of the 826-ton OE Buoy project are also significant. Each deployed commercial device could reduce CO2 emissions by over 3,600 tons annually, which for a utility-scale wave farm of 100 MW could amount to over 180,000 tons of CO2 in a full year. 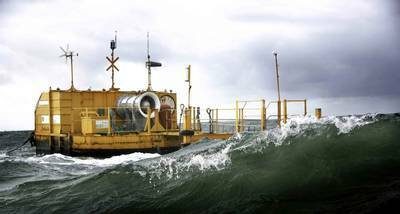 It is estimated that a 100 MW wave farm could power up to 18,750 American homes. Emerging industries such as offshore aquaculture could also benefit from wave energy as they require power at remote marine locations. Additionally, with safe drinking water shortages plaguing cities around the world, wave energy could potentially provide a highly cost-effective solution to desalination. Today, some countries are 100 percent dependent on desalinated water to meet daily needs - the Global desalination market was market valued at $15 billion in 2017 and it is predicted that by 2025 the market will be worth over $26 billion. By 2030, the world is projected to face a 40 percent global water deficit under the business-as-usual scenario.